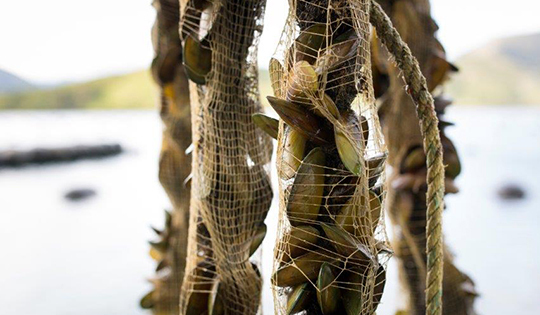 Taking the chance out of mussel farming – naturally, sustainably and profitably. 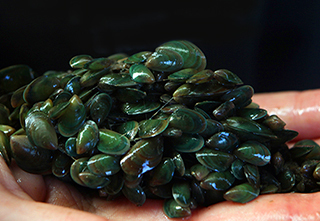 Greenshell Mussels (perna canaliculus) are unique to New Zealand, making them one of our most iconic seafood heroes. 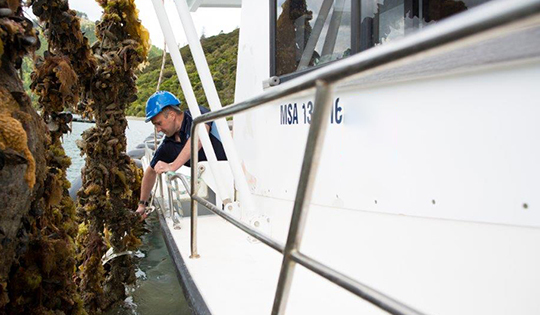 But until recently, New Zealand’s mussel growers have had no control over the production of spat (baby mussels), which they had to harvest wild around our coastline. 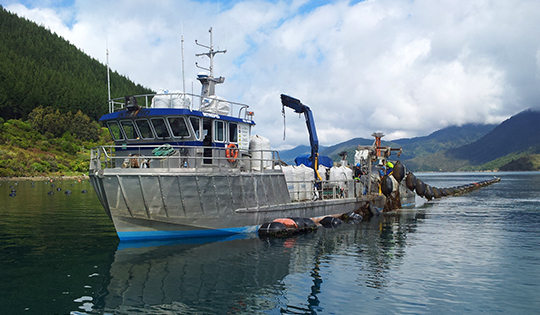 Now all that is changing, with a new hatchery and lab facility at the Cawthron Aquaculture Park, Nelson, where Greenshell Mussels can be selectively bred like sheep or cattle to take the element of chance out of mussel farming. SPATnz is a Primary Growth Partnership (PGP) programme collaboration between the industry and Ministry for Primary Industries (MPI), with equal funding of $13m each from MPI and Sanford for the hatchery. The technology used to breed the mussels is natural and sustainable. There is no genetic engineering involved, but modern techniques like DNA fingerprinting are used to make sure that the breeding population remains genetically diverse. The spat are kept in clean saltwater and fed natural algae, just like they would eat in the sea. Scientists at SPATnz use a wash of cold water to encourage their mussel parents to spawn. It’s a deceptively simple process, but it took a lot of time and some painstaking research to perfect. Now the whole industry is reaping enormous benefits. Just two years into the seven-year PGP programme, the very first batch of mussel spat from the new hatchery has gone out to farms. Mussel farmers know what they’re getting and when, allowing them to produce high performing mussels. The initial financial benefits are expected to be around $80 million a year by 2026, or up to almost $200 million per year if the technology is adopted throughout the industry in New Zealand.